Established in 1989, Abacus Bathrooms is one of the UK's leading manufacturers and distributors of bathroom and wetroom products and is well known for a philosophy of pioneering development for the ultimate bathroom build. 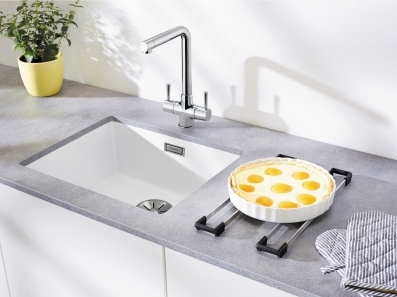 New to the portfolio of clever innovations for the installer, designer and retailer is a range of four products for simple, effective installation of basins. Gold mermaid fishscale tiles from Otto Tiles & Design appeared on George Clarke's 'Old House, New Home' featuring a property in Portsmouth, Claverdon, recently. Otto Tiles & Design sees fish-scale tiles as the new trend upcoming over the next year, possibly to replace terrazzo tiles. It's been a funny old Christmas, hasn't it, with the lack of sales in our town centres and scaremongering over the ever-growing political uncertainty? It isn't all bad though, with official figures revealing that construction output grew by 2.1% for the period September to November compared with the previous three months, and today's UK kitchen market report by MTW Research (www.marketresearchreports.co.uk) suggesting sales will rise by £50mn in 2019, despite ongoing challenges for the kitchen products industry. Suppliers' data shows that higher value rigid kitchen cabinets, cooking appliances, premium taps and dishwashers are performing exceptionally well, although the mid-market stays squeezed on prices and profits, with online retailers steadily gaining share through aggressive pricing strategies. The 170-page report identifies top kitchen design trends, noting increased complexity as consumers personalise their kitchens rather than accept traditional off the shelf solutions. 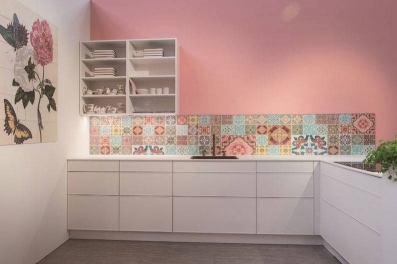 Design innovation continues to support the higher value market, with the 'unobtrusive kitchen' also gaining share thanks to increased building of smaller, urban open plan homes. MTW says sophisticated consumers realise the old binary choice of traditional or modern kitchen design is defunct, with the market more complex regarding design, specification and purchasing criteria... Urban, industrial, chic rustic and vintage designs drive the market and knowledgeable consumers are seeking retailers and manufacturers who can help create a distinctly personalised kitchen. The report identifies several growth opportunities, while warning suppliers they'll suffer if they're slow to identify new trends and underestimate the growing threat of price deflation. Based on data from companies reporting over £180 million profit, the report finds that the 'connected kitchen' is driving value growth in the luxury and high-mid markets, with smart extractors, voice activated hobs and built in cabinet smart speakers demonstrating how retailers are using technology to personalise kitchen designs. The report also identifies a shift in distribution, with retailers have mostly won the battle against the Sheds, which are repositioning to more traditional DIY market positions. Growth in the lower value sector is likely to be elusive in 2019, forcing online and DIY channels to engage in price battles, while lower mass market growth is likely to be compounded by the 'kitchen refresh', with cost-conscious consumers changing doors, handles and taps rather than undertaking full refits. 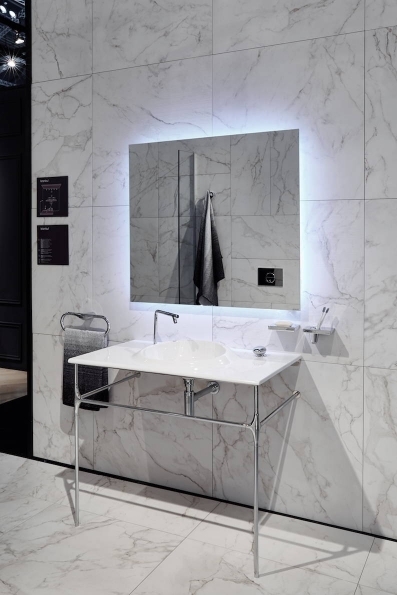 The Kitchen Bathroom Bedroom Specialists Association has announced that 10 new members have been accepted into the Association, continuing the drive towards 50 new retail members by Summer 2019. The latest new members include eight new retail members, one corporate member - Gardner Distribution based in Kent, and one Foundation member - New Forest Designs in Hampshire. In addition, Ekco (Edinburgh) has added a new branch to its membership. Available exclusively in the UK from IDS, the collection harnesses the aesthetics of natural limestone and open weave fabric, expertly combining them into the unique CamuStyleTX texture. The deal, initially announced in May, has now been finalised and will see Hisense UK assume control of Gorenje's UK operations and logistics, as well as launching new products to the market. Tim Gent has joined the Masterclass Kitchens team in the role of national sales manager. Covering the whole of the UK, Tim will be responsible for strengthening the brand's regional sales team, supporting its network of retailers and further strengthening the brand within the KBB sector. With over 30 years' experience in the industry, Tim brings a wealth of knowledge and enthusiasm to the role. Joining Masterclass from Hepplewhite where he managed retailer accounts throughout the UK, Tim prides himself on being a 'hands on' manager who has built lasting relationships within the industry over the years. Building upon its member financial services and extensive member benefits package, The British Institute of Kitchen, Bedroom & Bathroom Installation has launched a new financial services product to help members source financial funding solutions for their businesses. The new BiKBBI Funder Finder provides free and simple access for its members to source financial funding for their businesses, including vehicle & asset financing, cash flow loans, commercial mortgages, invoice finance, pension-led funds, term loans and trade finance. The Kitchen Bathroom Bedroom Specialists Association has announced that this year's exclusive Retailer Dinner will take place on Tuesday 24th September, while the full day Conference, AGM and Awards Dinner will be held the following day, Wednesday 25th September, in Stratford upon Avon. Leading German bathroom manufacturer Pelipal has been awarded one of the most important European Design Awards for the innovative Solitaire 9025. The international jury awarded the coveted title of German Design award winner 2019, highlighting in its statement "The minimal design of this washbasin endows it with elegance and lightness, qualities underscored by a subtly designed frame. A beautiful and timeless design that's also noted for its outstanding functionality". 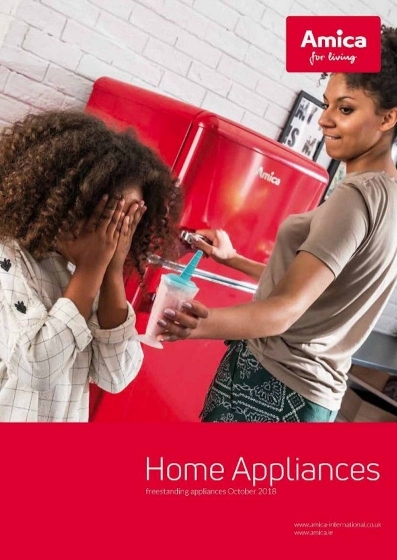 Amica has launched a new 72-page A4 brochure featuring all its top value, high performance freestanding appliances in striking new lifestyle photography sets. The company has also unveiled a new logo which now carries the strapline 'for living'. "It emphasises that Amica appliances are designed and manufactured with the needs of the consumer firmly in mind," says marketing manager Steve Corbett. The current owner of Formica, Fletcher Building, has entered into an agreement to sell the Formica Group to Broadview Holding BV. 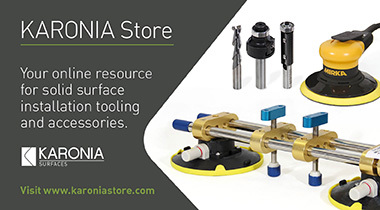 Formica Group is a worldwide provider of branded, design-coordinated surfacing solutions for commercial and residential customers and a huge manufacturer of High Pressure Laminate. 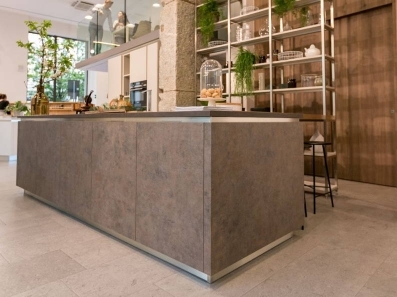 The sale includes Formica Group businesses in North America, Europe and Asia as well as its Homapal laminates business in Germany and is subject to regulatory approvals and conditions. A new industry award which was won for the first time by Roman is an essential part of a strategy to raise awareness of the dangers of using non-compliant bathroom products, says Bathroom Manufacturers Association CEO Yvonne Orgill. 2019 Conference set to be "extraordinary"
The British Institute of Kitchen, Bedroom & Bathroom Installation (BiKBBI) has this week confirmed that it will be holding its Annual Conference at The Houses of Parliament on Wednesday 30th January 2019. VitrA has reported that the new look Sleep + Eat 2018 was a great success for the international bathroom company. The exhibition formed part of a series of high-profile events for VitrA during 2018 that has included designjunction and the RIBA + VitrA Talks series. The British Institute of Kitchen, Bedroom & Bathroom Installation tells us it is delighted to announce that Liberty Fitting Services was unveiled as Installer of the Year 2018 at this week's ek&bbusiness Awards & Review ceremony in Central London. Shower designer and manufacturer, Roman, has won the consumer safety award for compliance in bathroom products at the National Home Improvement Council Awards black tie ceremony. To support the further growth of its Jigsaw brand and kitchen retailers, TKC has partnered with specialist kitchen design software companies ArtiCAD and Compusoft. The complete portfolio of doors, cabinets, storage, sinks, taps and worktops is now available in a digital format on both platforms.